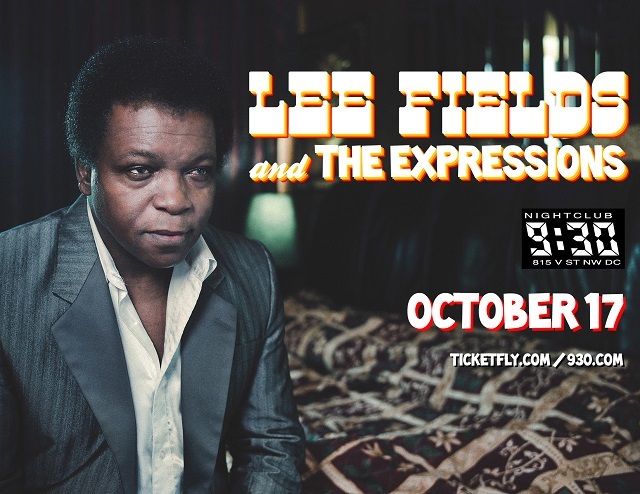 Today, we are giving away a pair of tickets to see Lee Fields and the Expressions at the 9:30 Club on Thursday, Oct. 17. Mr. Fields, a southern soul singer, has been on a resurgence lately, putting out several well-regarded albums with The Expressions in the past decade. It seems he’s drawn quite a few comparisons to James Brown over the years, so this has got to be quite a fun and funky show! For your chance to win these tickets, simply leave a comment on this post using a valid email address between 10am and 4pm today. Feel free to leave any comment, but perhaps share your favorite song by Lee Fields! One entry per email address, please. Tickets for this show are also available through Ticketfly. Newly converted Lee Fields fan! I’d love to win – favorite song has to be “You’re the Kind of Girl”! You can take a bad day and make it turn out right. Lee Fields is the man!